Earlier this week, Sandra Nabucco of Rio de Janeiro was out walking her dog when she had a sudden and unusual wildlife encounter -- a Prehensile-tailed porcupine, traversing some telephone wires above her, slipped and landed on her head, spiky side down. "It was frightening and very painful," Sandra tells The Dodo, adding that the tumbling animal probably weighed close to 10 pounds. For her part in cushioning its fall, the porcupine was unscathed. "He looked a little dazed, but walked back into the garden." Naturally, Sandra hurried to the hospital where 272 quills were removed from her head. 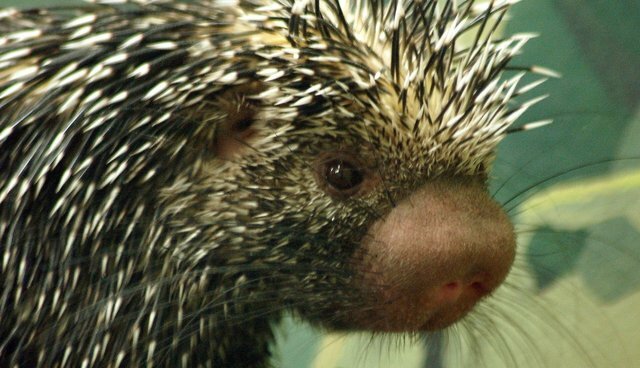 The lead doctor says that in his 34 years on the job, he's never once heard of anyone being injured by a falling porcupine. Despite being left with a sore scalp, Sandra says she's actually very glad the porcupine wasn't injured, thanks to her being there at that moment. "I'm happy it survived!" she says. "I saved its life. He broke his fall on my head."